Our first full day in Beijing will start after breakfast with a visit to Tiananmen Square and the magnificent Forbidden City where you can see the treasures of the Imperial collection. After lunch, travel to the Summer Palace, the largest and best preserved imperial garden in China which was declared as a UNESCO World Heritage Site in 1998. This evening, enjoy the Peking Duck dinner. Today you’ll see and perhaps climb the Great Wall of China, one of the country’s most famous tourist attractions and one of the greatest man-made wonders of the world. It runs about 5,500 miles through 150 different counties in China. You will then have a Seminar on Chinese Jade Culture at a local Jade Museum. Then back to downtown and have Hutong Tour by rickshaw. This morning you will visit the exquisite 15th century Temple of Heaven to see the Imperial Ceiling of Heaven with its Echo Wall and the Nine-Dragon Cypress, more than 500 years old. 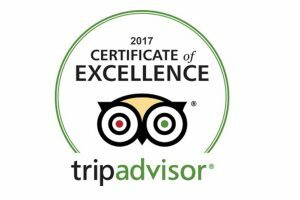 Then transfer to the airport for a flight to Xian, one of the ancient capitals of China and site of archaeological treasures. The rest of the day is left on your own. 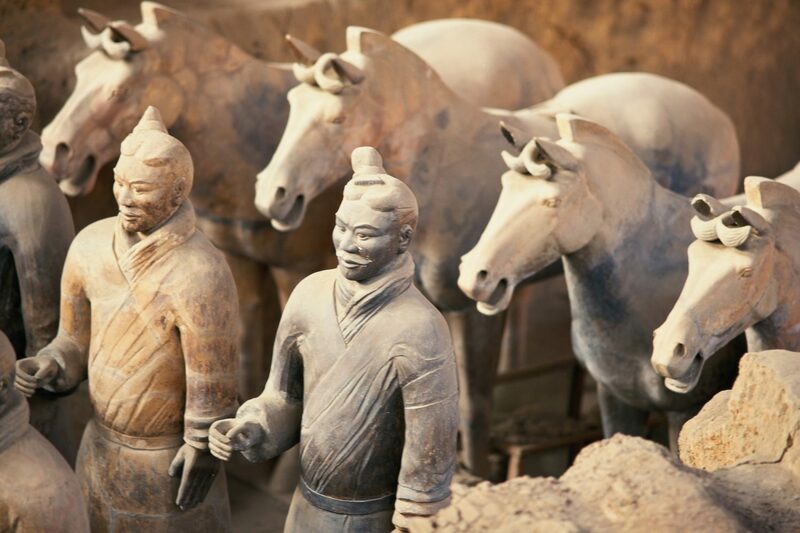 According to UNESCO, the Terra Cotta Warriors and Horses are the Eighth Wonder of the World. 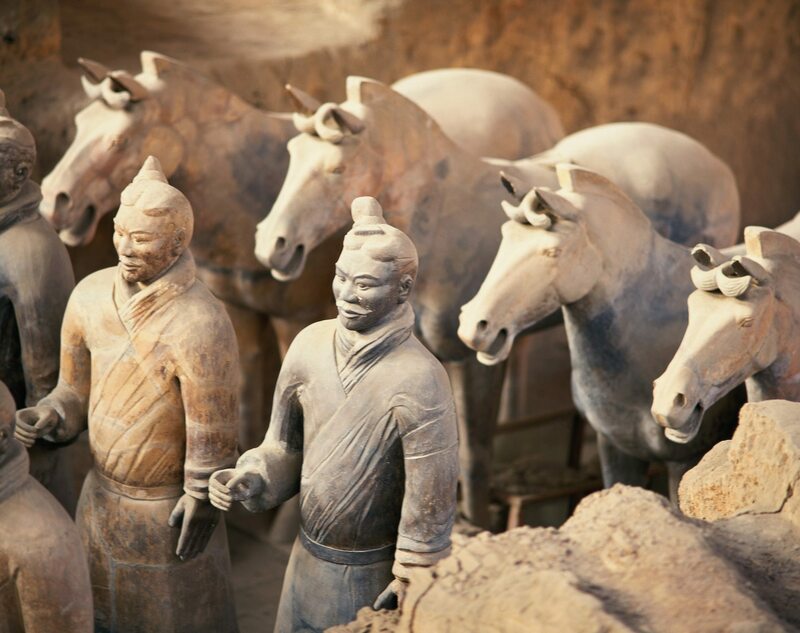 Today’s excursion will take you to modern China’s greatest archaeological discovery – The Terra Cotta Warriors and Horses, which have silently guarded the tomb of China’s First Emperor for over 2,200 years. Next you’ll head to the Terracotta Replication Factory that actually re-made terracotta soldiers. Back to downtown and pay a visit to the Ancient City Wall of Xian, one of the world’s oldest, most complete fortified defenses. Tour the Ancient City Wall of Xian, one of the World’s oldest, most complete fortified defenses, and the Muslim Quarter, then fly to Chengdu. Upon arrival, transfer to your hotel. The rest of the day is on your own. Drive to Leshan,to see the Leshan Giant Buddha, the largest sitting Buddha in the world. We will appreciate its beauty by boat. Then back to downtown and pay a visit to Jinli Old Street. After breakfast, drive to the Giant Panda Breeding Research Center to witness the conservation efforts being made to save this endangered species. 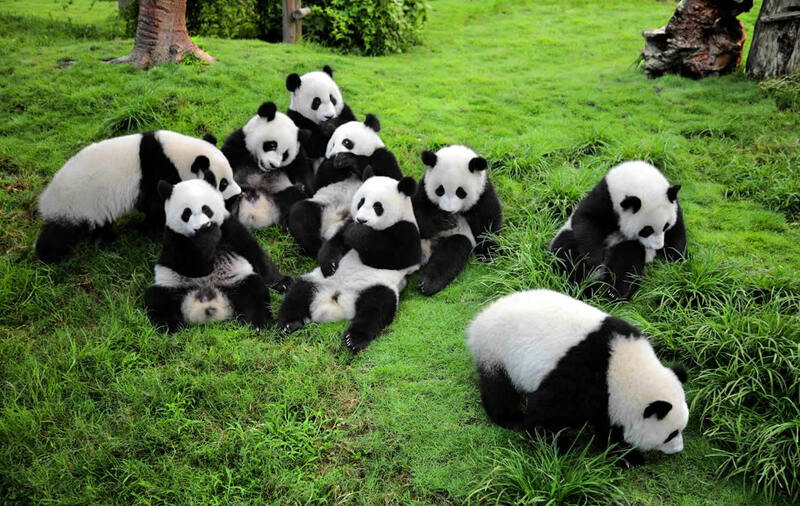 The center is the largest giant panda reserve in the world. 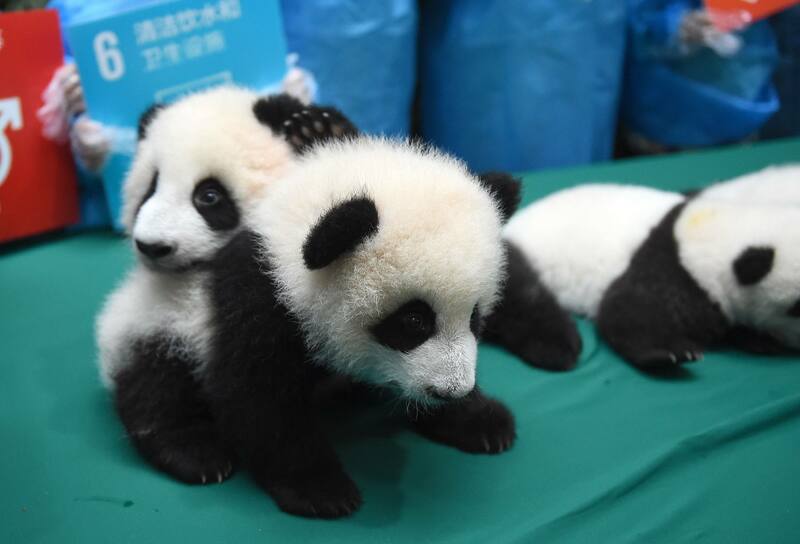 Whenever China dispatches its animal ambassadors to zoos around the world, they usually started their life in Chengdu. 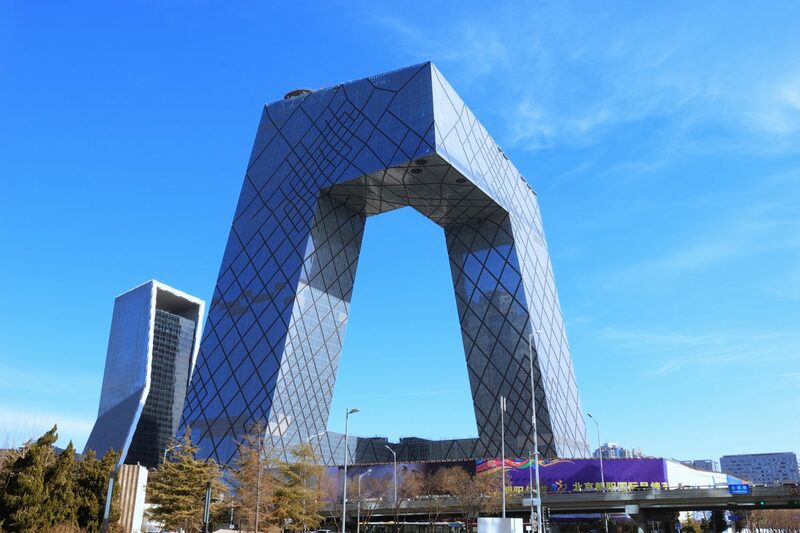 Afterward, transfer to the airport for your flight to Shanghai. Today you’ll visit Yuyuan Garden, and soak up the more commercial aspects of this megalopolis on Old Street, Nanjing Road, the Bund. Visit a silk factory where you can do some shopping. 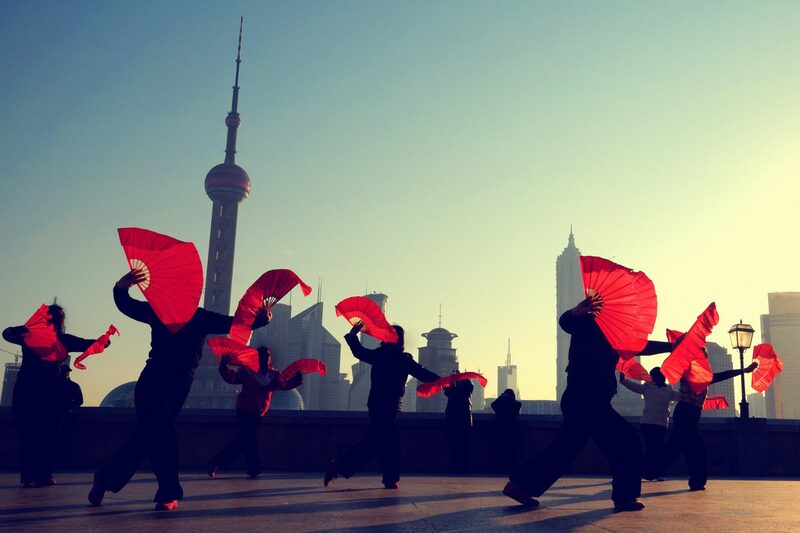 Then step back in time at the Shanghai Museum with more than 120,000 art pieces. In the evening, a farewell dinner of Shanghai Cuisine will be served.